Beautifully crafted solid premium teak garden tables. From smaller 4 seater garden tables to extra large 12 seater double extending outdoor tables. From modern round 8 seater teak garden tables with stainless steel to traditional garden table designs. 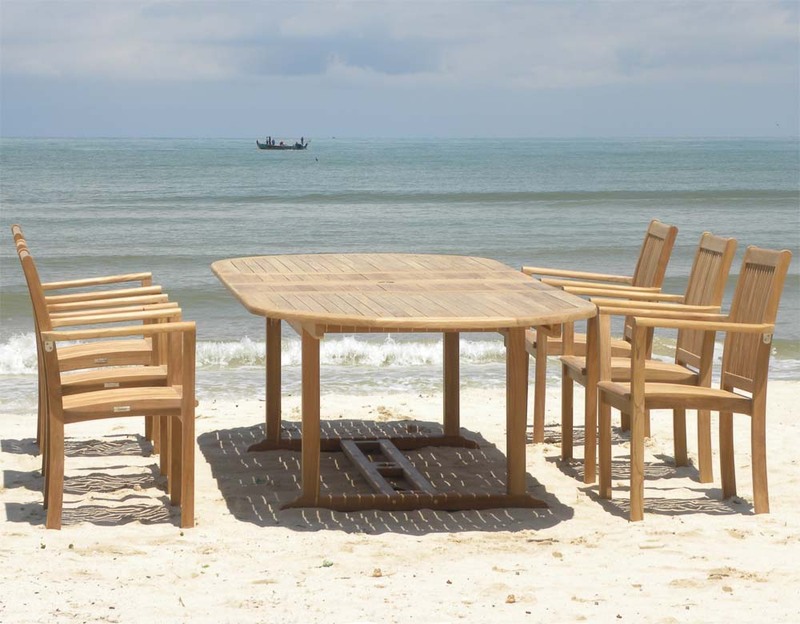 Faraway always pride themselves on their high quality sustainable teak and offer a full 10 year guarantee on our teak garden table collections.